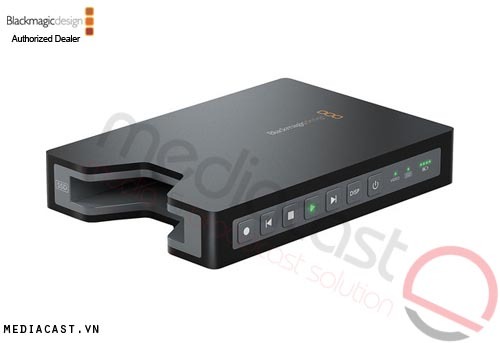 PIX-E5 Bộ ghi Video 4K Video Devices PIX-E5 5"
MediaCast Sản phẩm	 Video chuyên nghiệp	 Video Recorders	 Bộ ghi Video 4K Video Devices PIX-E5 5"
Bộ ghi Video 4K Video Devices PIX-E5 5"
Compact and powerful, the Video Devices PIX-E5 5" 4K Recording Video Monitor can record 4K video over HDMI and 6G-SDI to SpeedDrive SSDs. 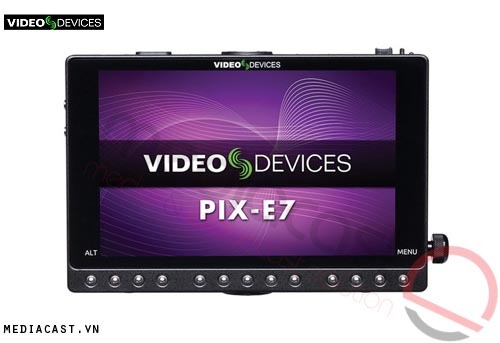 Not only is the PIX-E5 a powerful recorder, it also has a built-in 5" 1920 x 1080 resolution touchscreen for monitoring framing, checking focus, and displaying scopes. 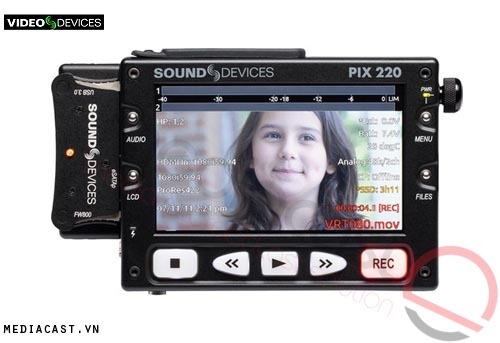 Video Devices designed the PIX-E series of recorders to be compact so you can use them with small cameras and camcorders without weighing them down excessively. 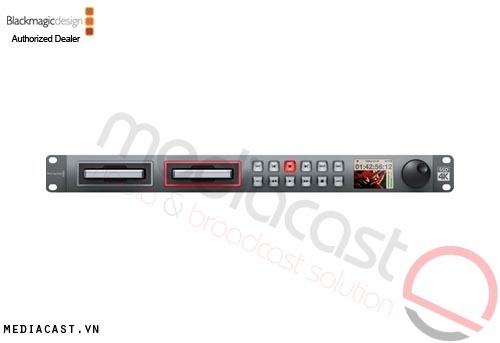 As a subsidiary of Sound Devices, Video Devices implemented a few pro-audio features as well. 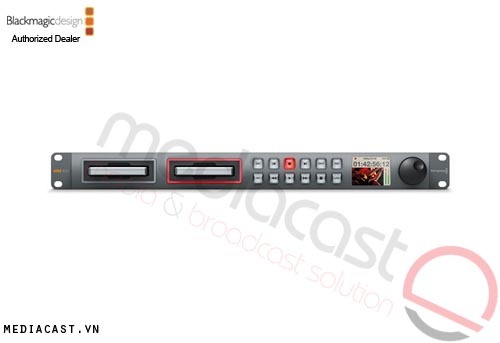 Aside from being able to record audio from the digital video connections, the PIX-E5 has analog audio inputs in the form of 3.5mm jacks. 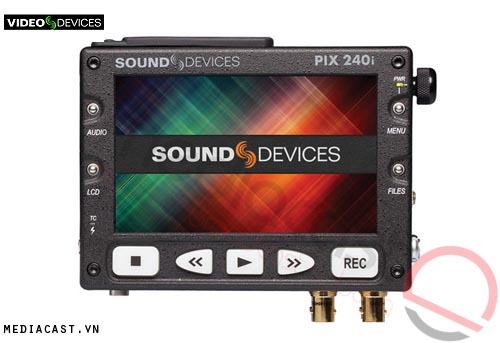 To expand the pro-audio capabilities of the PIX-E5, a separately available XLR audio mixer with meters can screw into the bottom 1/4"-20 tapped hole. 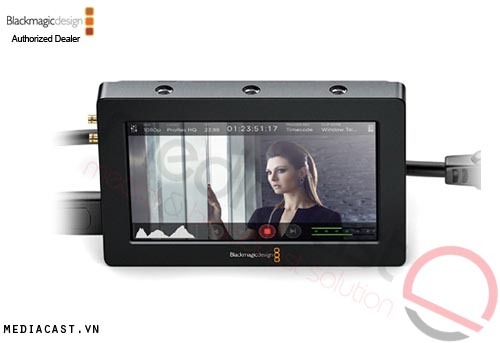 The PIX-E5 can record resolutions up to DCI 4K (4096 x 2160) from HDMI or SDI sources in the Apple ProRes format in up to 4444 XQ. 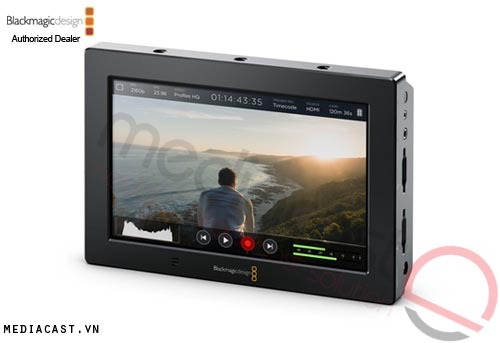 DCI 4K and UHD 4K formats can be recorded at frame rates up to 30 fps and HD footage can be recorded at up to 120p for slow motion or projects requiring higher frame rates. 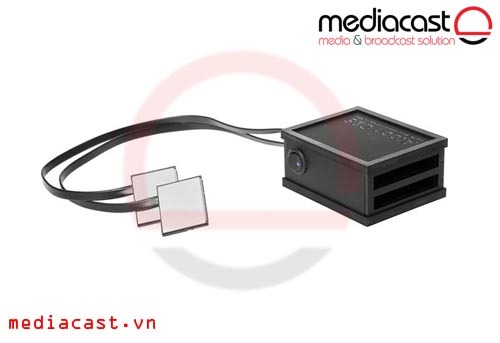 All inputs have a loop-through output which can go to a client or director's monitor. 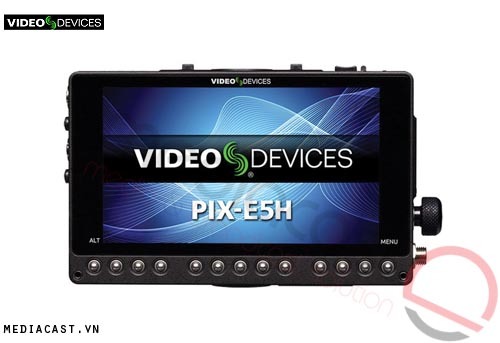 With a bright 1920 x 1080 resolution touchscreen IPS LCD, the PIX-E5 can display scopes clearly, as well as perform precise punch-ins for focus confirmation. The capacitive touchscreen can be used to navigate menus as well as direct the focus punch-in area. Even though the large touchscreen is convenient, Video Devices has also implemented their intuitive, classic rotary encoder menu navigation style found on the PIX-240i as well as their classic tactile dome-shaped buttons so you can change your settings without putting fingerprints on the screen. For durability, the glass on top of the LCD panel is Gorilla Glass 2 which is scratch and shatter resistant. 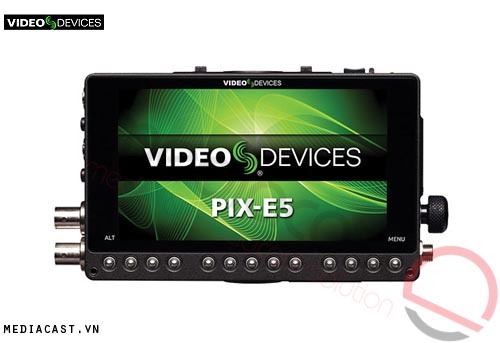 The PIX-E5 can operate off external 10 to 34 VDC or with readily available Sony L-mount batteries. If you switch power sources during operation, the PIX-E5 will seamlessly switch without causing a shutdown. Box Dimensions (LxWxH) 8.8 x 8.2 x 4.2"